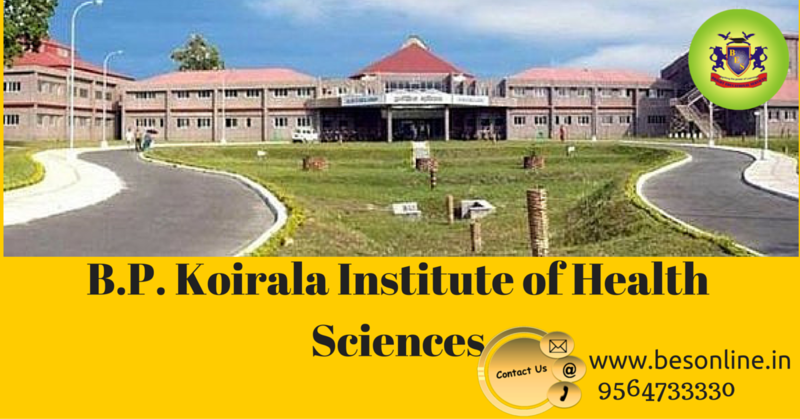 BP Koirala Institute of Health Science (BPKIHS), Dharan is one of the most renowned medical colleges in Nepal. Established in 1993, the college is a landmark of India-Nepal friendship as both the countries joined hands to form the college. BPKIHS offers postgraduate, undergraduate and certificate programs. The college has four branches in the streams of Medical, Dental, Nursing and Public Health. It is also equipped with a state-of-the-art 700 seater Central Teaching Hospital. All the courses like MD, MS, MSc are recognized by Nepal Medical Council. Other courses namely, anesthesiology, clinical pharmacology & therapeutics, dermatovenerology, ENT, internal medicine, orthopedics, pediatrics, psychiatry, radiodiagnosis, and surgery) are recognized by Medical Council of India (MCI). The MBBS program of the college is recognized by the medical councils of India, Nepal and Sri Lanka. The college is also listed in the world directory of medical schools published by WHO. The exam is usually held in the month of August. Atleast 50% marks in aggregate in Biology, Chemistry, Physics and English in 12th. The minimum age to apply is 17 years. The application is completely online. Documents that you need to keep handy are your school marksheet, colour photograph, photocopy of passport/citizenship, and the payment receipt. The application process will tentatively start in June 2016. Students must bring bank voucher/SWIFT transfer receipt at the time of entrance examination. The entrance exam will be conducted in Dharan and Biratnagar. For admission related queries and counselling, call now at 9564733330!